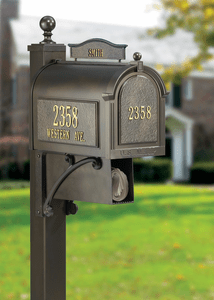 Home / All Outdoor Decor / Outdoor Decor / Mailboxes Etc. 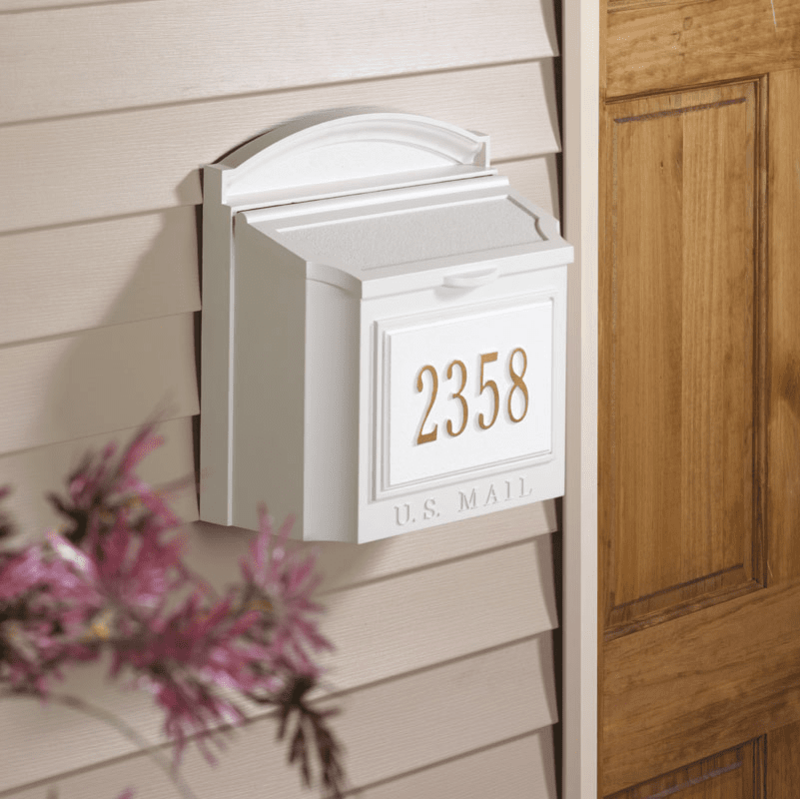 Make a big first impression with one of our stylish and durable Whitehall Mailboxes. Each mailbox and its components are made from die cast, rust-free aluminum with weather-resistant powder coat paint. 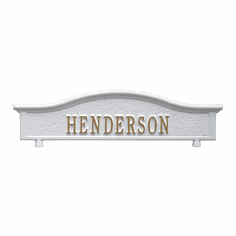 We offer both a wall mount and free standing mailbox with a choice of colors and decorative components that include personalized address plates. Our mailboxes also feature extra large capacity that will hold several days worth of mail and larger pacakges. Check out the variety of styles and features by clicking on the sections below.